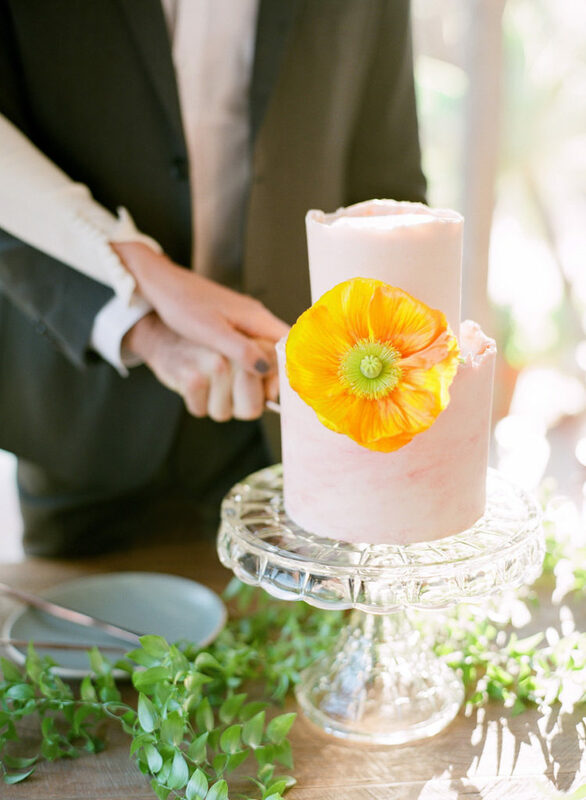 Inspired by the colors of the American Riviera and the desire to have a perfectly intimate elopement that could then be shared, a fabulous group of vendors crafted the ideal elopement. 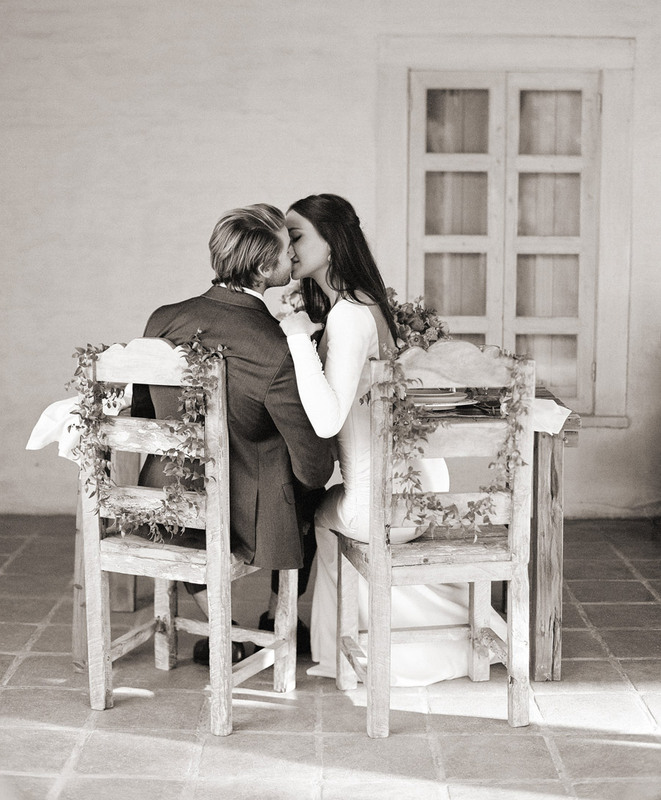 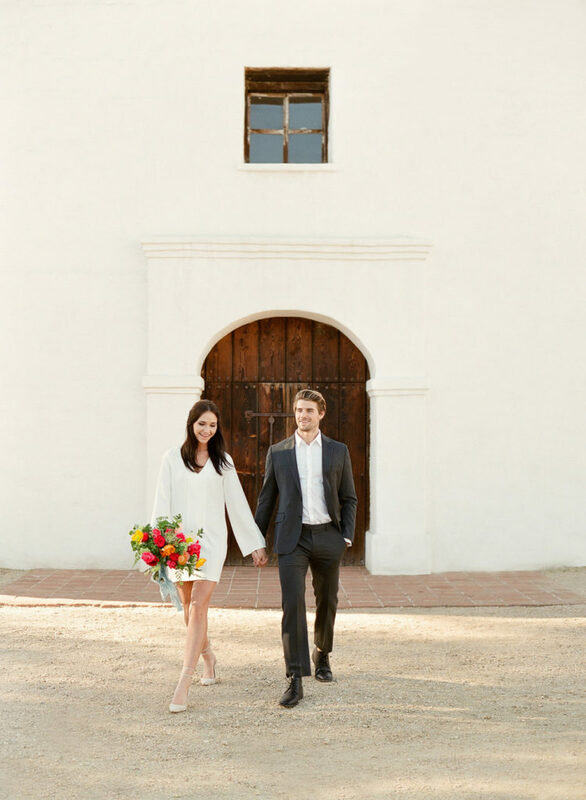 The elopement consists of experiences at the Santa Barbara courthouse followed by a tour around town, dinner and cake in a romantic courtyard and a sunset toast on the beach. 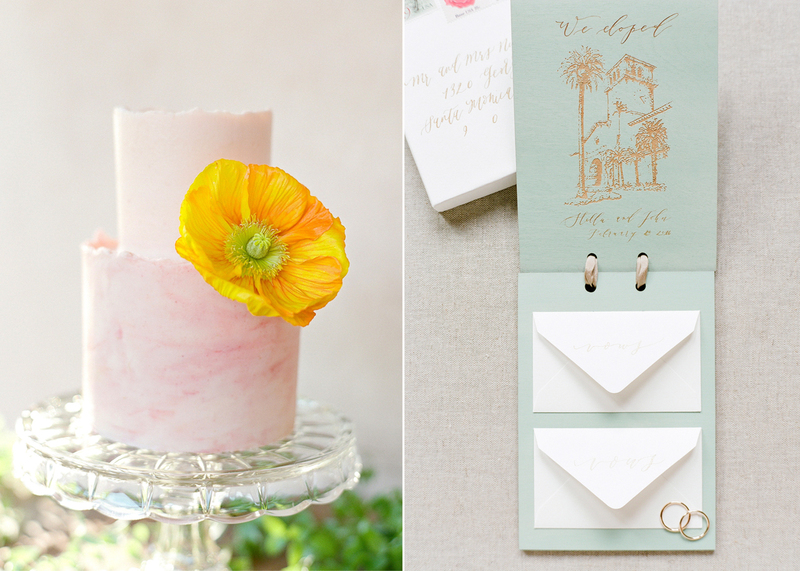 The stationery to document the day uses natural materials from an etched terra cotta menu to an “announcement” that includes rough wood, natural fibers and vows to make those that were not there feel included. 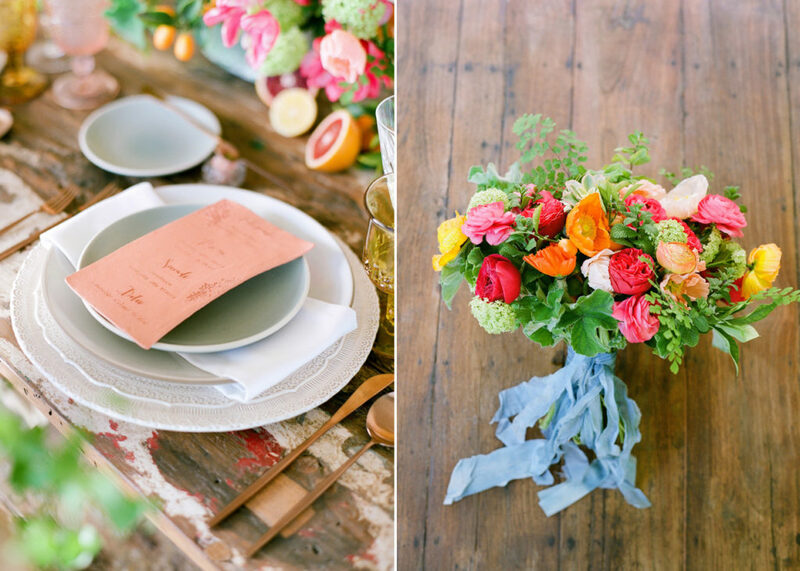 Bright and cheerful flowers decorate the intentionally set table to compliment colors of the areas surroundings and add a bit of “pop” to punctuate the celebration.